Merry Christmas! Happy Bacon scarfing! Hi! I have been bacon scarfing!! Hope you all had a great holiday and are enjoying your family and friends. I am in Show Low and this evening Carson and I made a bacon scarf. 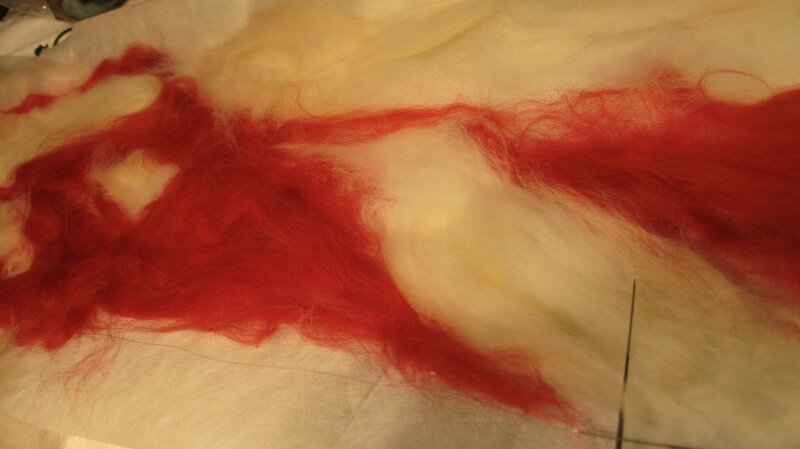 The photo to the right shows it up close along with a felting needle. the photo on the right shows the finished product. First you lay out the paper–it is made by Artfelt and is the base of the project. You lay the roving on it and tack it with the felting needle at the color joins and the edges, it keeps it from falling off of the paper. 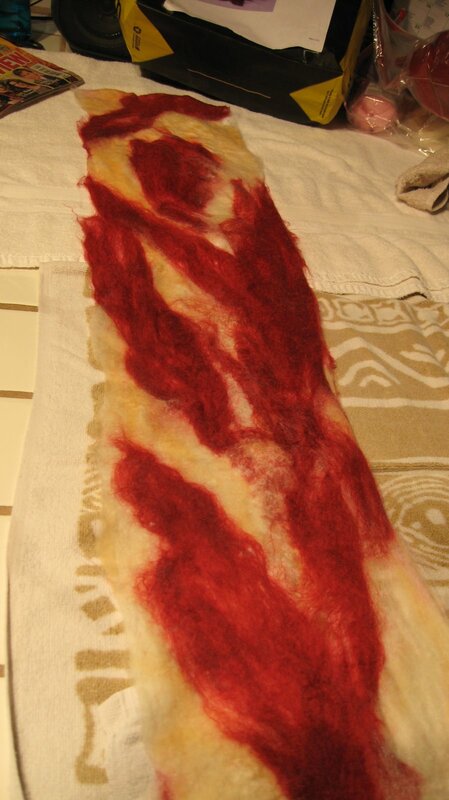 Then you squirt it with water until the fabric and roving are soaked. You lay a piece of plastic over it comes with the fabric) and roll it up. You stick into a knee hi nylon, tie a knot in the end, and throw it in the dryer. It took 2 15 minute hot cycles in the dryer, then one more 10 minute cycle. Then you put it in the sink and pour boiling water over it, which makes the paper dissolve. Amazing! A wearable meat facsimile!